Just two hours’ east of Zurich, Appenzellerland is Switzerland’s most traditional enclave. 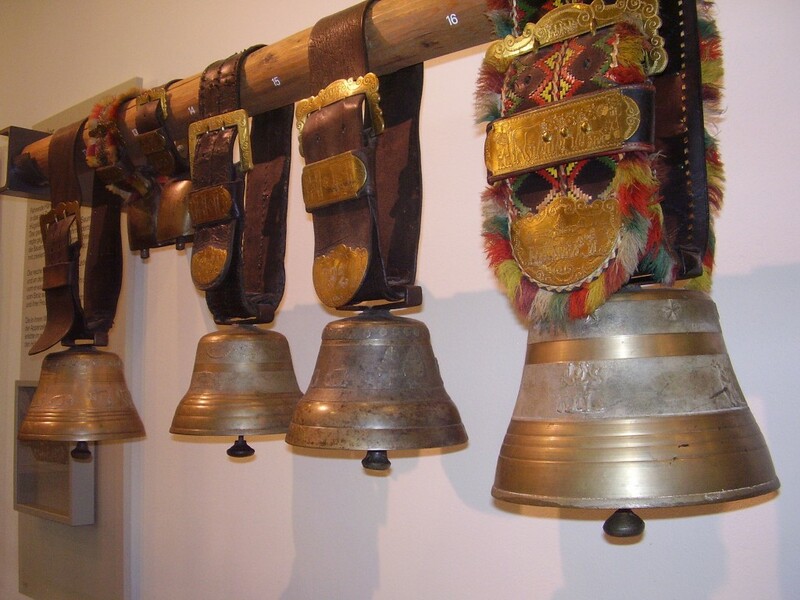 Think cows and cowbells, farms and meadows. City folk who appreciate good food, cozy lodgings, pristine mountain scenery and colorful primitive art will be entranced by Switzerland’s most bucolic region, just across Lake Constance from Austria and Germany, and bordering Liechtenstein. No fewer than four cable cars glide up the Alpstein range, where visitors can enjoy easy walks through rolling meadows, or hunker down in mountain lodges for long leisurely lunches. Foodies can learn the art of sausage-making at a local butcher shop, visit a cheese factory, or taste traditional pastries at bakeries and cafés. When the day is done, there are superb restaurants serving farm-fresh fare, and hotels ranging from quaint country inns with hand-painted furniture to five-star resorts with luxury spas. From Zürich HB, the Swiss capital’s central station, trains depart regularly for the town of Appenzell, with a stop in the city of Gossau. Or take the train from Zürich to the pleasant metropolis of St. Gallen, known worldwide for its centuries-old textile and embroidery industry. From there, change for the little red train that chugs its way through the countryside to the town of Appenzell. Either route is scenic and takes just under two hours. Tiny Appenzell is a peaceable kingdom of fountain-adorned squares, narrow cobblestone streets and wooden chalets with colorfully painted facades. A five-minute walk from the train station, check into an “Appenzeller-zimmer,” with old-fashioned canopy beds and painted wardrobes, at 28-room Hotel Löwen. You’ll also find a traditional wood-paneled dining room, a spacious breakfast room, a bar and a sunny courtyard garden. Stay three nights in any area hotel and receive the Appenzell Card, offering such discounts as free cable-car rides and museum admission. Right outside your hotel door, on Hauptgasse, Appenzell’s main street, the Löwen-Drogerie, a bright-red chalet adorned with paintings of herbs, sells its famous herbal liqueur, Innerrhoder Kapuzinerbitter, as well as herbal teas and tinctures. At nearby Spezialitäten Metzg Wetter, taste traditional cold-cuts like mostbröckli, thinly sliced dried beef, and alpenklüber, cervelat and schüblig sausages. Amble a few blocks west, past souvenir shops selling wooden milking pails and leather suspenders adorned with brass cow medallions. At Drei Könige bakery and café, sample fresh-baked birnweggen pear bread and biberli, traditional gingerbread stamped with images of farm scenes and town landmarks. Steps away, several restaurants, cafés and hotels ring Appenzell’s historic main square, the Landsgemeindeplatz, site of the annual open-air assembly where direct democracy is still practiced. If you’re in town on the last Sunday in April, don’t be surprised to see grown men strutting around with swords clanging against their hips. Centuries ago, that’s how the Appenzell’s men folk proved they were old enough to vote. Today, many still do. A few blocks farther west, at Metzgerei F. Fässler, butcher Fred Fässler and his family give monthly classes on sausage-making. 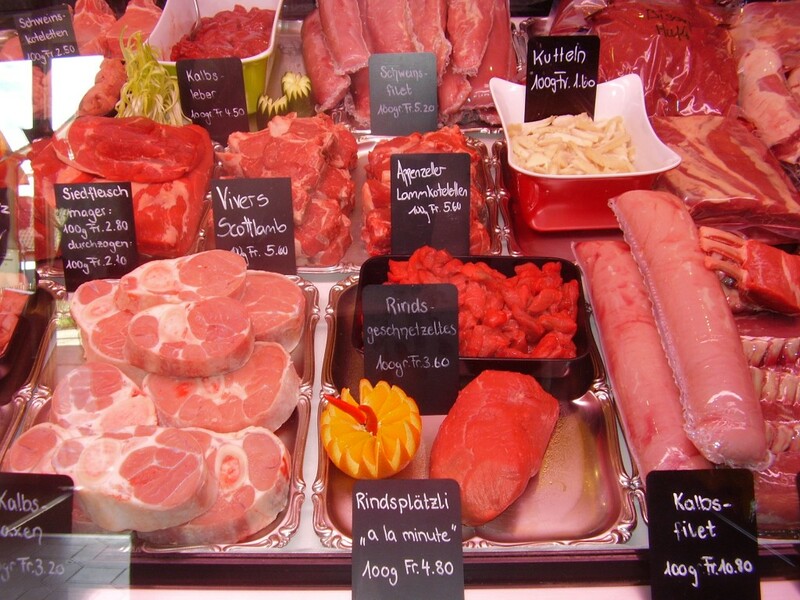 Even if you’re not in town for the class, you can still tour the facility, and sample various dried meats and sausages, including the house specialty, siedwurst, a traditional beef and pork sausage. 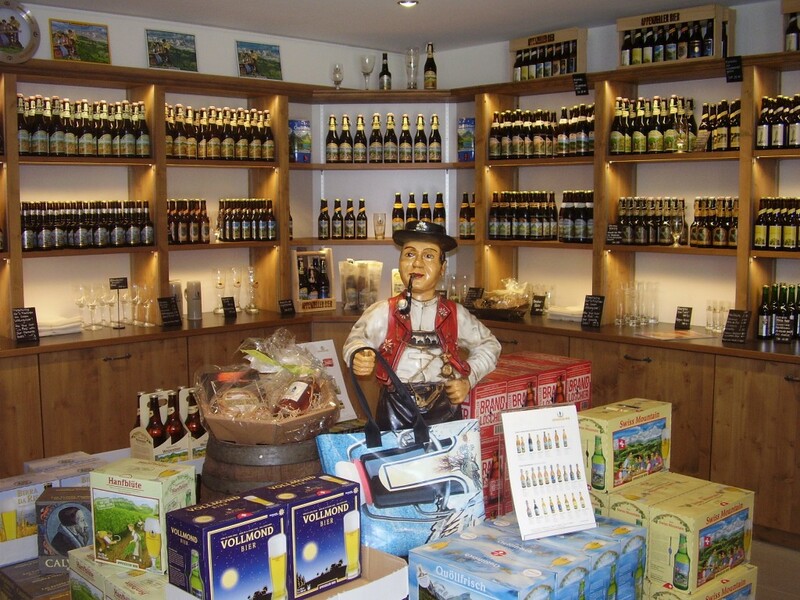 At the other side of town, across the River Sitter, visit the new Brauerie Locher AG visitor center to learn how Appenzeller bier is made. Sample the various brews, but don’t forget to taste the intriguing (and delicious) malt whiskey made from recycled hops. 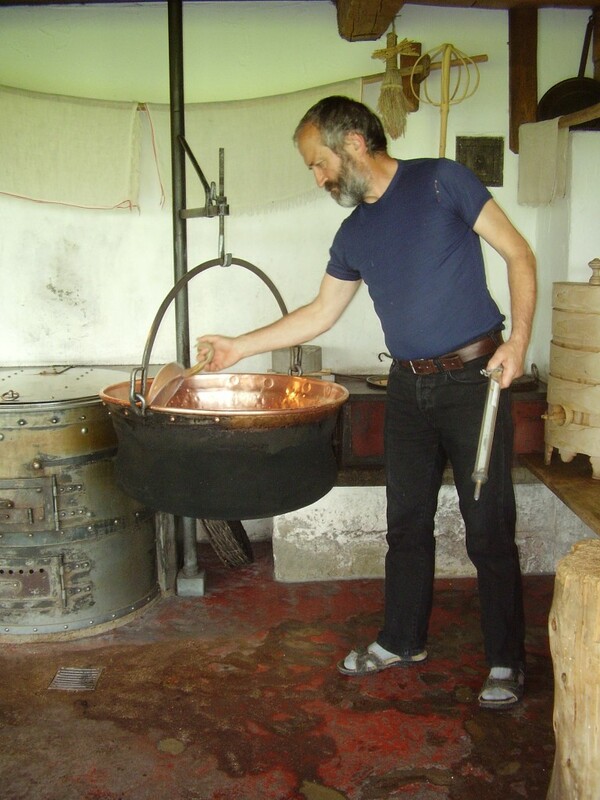 The nearby Appenzeller Alpenbitter Distillery produces a famed digestive liqueur crafted from 42 local plants and herbs, as well as a chocolate candy blended with herbal liqueur. Appenzeller cheese, another local specialty, is made from the milk of the tan-colored Braunvieh cattle and aged in herbal brine. Take a bright-yellow PubliCar van to the nearby town of Stein and the Appenzeller Schaukäsereishow dairy to watch cheese-making, and buy a half-dozen varieties of Appenzeller cheese. At the homey restaurant, with wood-paneled walls and carved wood furniture, lunch on local favorites like macaroni-and-cheese with applesauce. Next door, spend an hour or two at the Appenzeller Volkskunde-Museum, housing folk costumes, painted wardrobes, and Switzerland’s finest collection of primitive paintings, many depicting local farmers, dressed in traditional red vests, yellow breeches and black hats, leading cattle on the annual pilgrimage to the high pastures. If a day of sightseeing stirs up an appetite, you’re in luck. This is farm country, and the food doesn’t get fresher than that. In Appenzell, on the Landsgemeindeplatz, be sure to book a table at the four-star Romantik Hotel Säntis, with its colorful red, white and yellow painted façade. In the upstairs gourmet restaurant, sample well-prepared appetizers like smoked duck breast with brioche and fig port wine, and entrees like deer entrecôte with glazed chestnuts and pears in red wine. Just off the square, Restaurant Marktplatz serves such well-prepared dishes as pork steak with polenta and veal schnitzel with fries in a cozy dining room whose wood-paneled walls are etched with playful farming scenes. For a splurge, take the train from Appenzell two stops to the town of Weissbad. A stone’s throw from the train station is four-star Hotel Hof Weissbad with 136 rooms and a world-class wellness center in a grand yellow-and-white building. Feast on innovative dishes in your choice of three dining rooms, including a glass-walled black-and-white space overlooking the hotel herb garden and craggy, snow-capped Hoher Kasten peak. Then work off those extra calories with after-dinner dancing to live piano music in the graciously appointed lobby. Or just head for the hills. This is Switzerland, after all, and everyone should spend at least one afternoon, and preferably more, walking in the mountains and breathing in the fresh air. As Swiss mountains go, the 8,000-foot-high Alpstein range is low-slung, but it’s very accessible, with a pastoral beauty of velvety meadows dotted with farm houses, grazing cows and rustic mountain inns. The Kronberg rises in Jakobsbad, three train stops northeast of Appenzell. Near the mountain’s base, take the bobsled run, or explore the climbing park, a favorite with children. Then hop the bright-yellow cable car to the summit, and bask in dazzling sunlight at the terrace restaurant. West, in Brülisau, another short train ride from Appenzell, a gleaming-white cable car ferries visitors to Hoher Kasten’s revolving summit restaurant. Or hike three hours from Brülisau to Berggasthaus Ruhesitz, a traditional mountain lodge just below Hoher Kasten’s summit, for well-prepared local dishes, including a fitness-teller salad with fresh herbs, greens and berries, and grilled chicken or pork. It takes a little doing to reach the 8,208-foot-high Säntis, Eastern Switzerland’s highest peak, but it’s worth the effort. Hop a train to Urnäsch or Nesslau, then a post bus to Schwägalp. 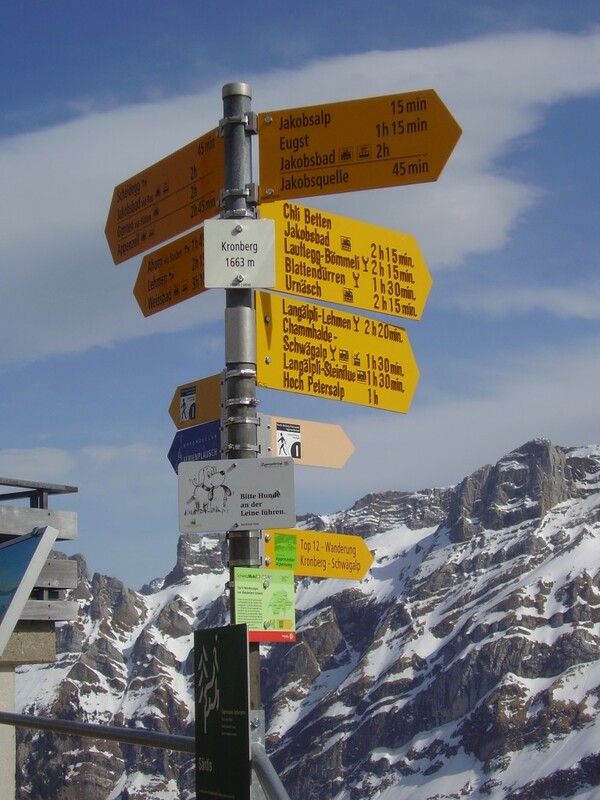 If you’re not in a rush, Schwägalp has several attractions: the Säntis Nature Discovery Park, the Schwägalp Demonstration Dairy, the Geology Rock Park. Or have a hot meal or a cold drink in the three-starBerghotel Schwägalp. From Schwägalp, catch a blue-and-white or green-and-white cable car to the Säntis summit where you can see nearly a hundred peaks from various restaurants and terraces. Folkloric evenings, with traditional fiddle and dulcimer music, are held here year-round. The Ebenalp lies 3,000 feet below the Säntis. 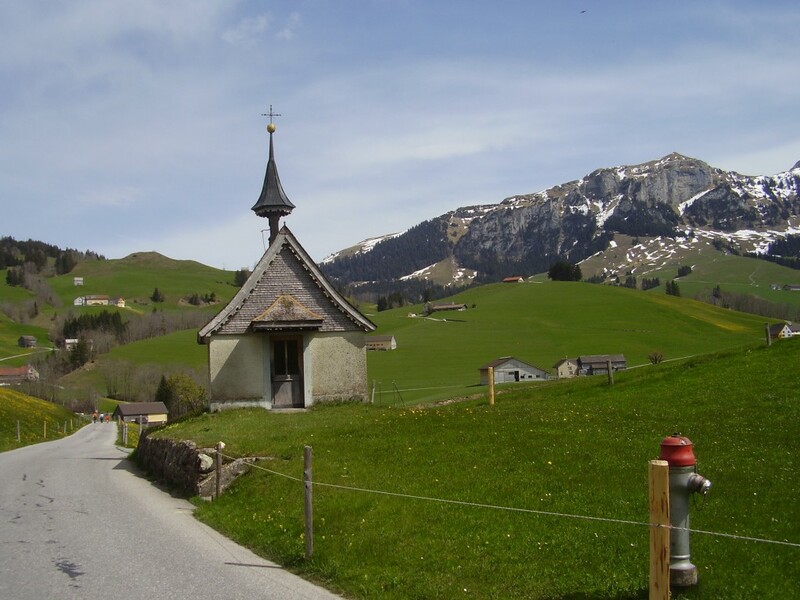 From Appenzell, take the train to Wasserauen, then ride the bright-red cable car to the top. Wedged precariously into a rocky crevice is the Berggasthaus Aescher. Come for a hearty lunch with superb mountain views, or brave the shared dormitory rooms for a once-in-a-lifetime overnight experience. Just below is the Wildkirchli, a cave “chapel” once inhabited by religious hermits and, legend has it, a bear. For more information, visit Appenzell Tourism (www.appenzell.ch) and Switzerland Tourism (www.myswitzerland.com). For Switzerland flights, contact SWISS (www.swiss.com), the national carrier. For the Swiss Pass rail pass, contact Rail Europe (www.raileurope.com). 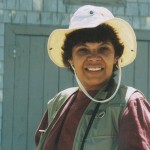 Monique Burns is a longtime travel writer and editor, and a European Correspondent for Jax Fax Magazine, a travel for U.S. travel agents. A former Travel & Leisure Senior Editor, she travels frequently to Europe, but can sometimes be found in far-flung locales like India and Asia. After more than 30 years in the travel business, she still appreciates the world’s many cultural differences and can honestly say that she’s never met a place she didn’t like. Thank you Monique and Everett! Purely Swiss, an enjoyable read. 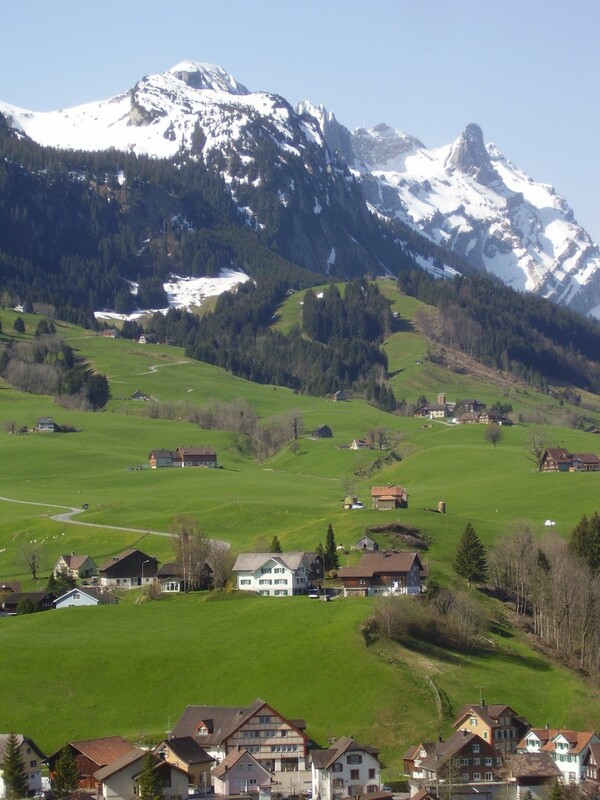 hello, where was the photo taken please, of the ‘Appenzell countryside framed by the 8,000-foot-high Alpstein range’?